Last week, during a Disclosure Workshop, a resident who had apologized profusely as he struggled to put down his constantly beeping phone pursed his lips and shook his head as I talked about “being empathetic.” “Seriously?” he sighed. “I’m overworked and exhausted enough. I don’t have TIME nor ENERGY to exert all that feeling!” He wasn’t being glib. It was clear this young man was already beginning to trade “joy in work” for the fast track to burnout. Furthermore, he had a point. It takes energy to be truly empathetic. Nonetheless, providers do have energy limits. I looked at this tired young man and was struck by his truth. I had a sudden, horrible thought. I’ve been teaching “empathy” and “compassion” for years. Have I been pushing the emphasis on caring too hard? Am I, along with all the rest of us advocates of patient-centered care, creating an unmanageable burden and unwittingly increasing the likelihood of provider burnout? On a quest to see whether my desire for us to demonstrate empathy was instead causing harm, I dug into the literature. I was pleased to find that empathy may well be a protective factor against burnout. Helping others can benefit well-being. On the other hand, the article went on to describe empathy as containing self-regulatory and self-protective elements. Interesting. I tend to agree with Merriam-Webster, which defines empathy as “the action of understanding, being aware of, being sensitive to, and vicariously experiencing the feelings, thoughts, and experience of another….” It seems that it would be difficult to experience another’s feelings while maintaining self-regulation. Continuing to explore, I learned that empathy in families has been shown to increase parental joy but has possible negative consequences for health, increasing the tendency for inflammation. That’s not good. I began wondering whether what we are truly advocating is something else. Perhaps it’s not the actions and emotion that we think of as empathy. Could we instead be talking about “compassion,” defined as a “sympathetic consciousness of others’ distress together with a desire to alleviate it?” And here I don’t mean the protective understanding at an arm’s length attributed to physicians of the 50s through 90s. I’m talking about true compassion including genuine sorrow and consciousness of the distress. It also includes a genuine desire to alleviate the suffering. Where do we go with this? We are exhausting our providers. Burnout is real. Between 2011 and 2014, there was a 9% increase in burnout, bringing the level to a whopping 54% of providers who had at least one symptom associated with burnout. We have no reason to believe that the tide has changed. If anything, everything we hear implies that it has gotten worse. By the time I finished researching, I didn’t feel much better. What if patients really do not need us to feel THEIR pain, but sense and acknowledge the confusion, helplessness, and fear brought on by undesirable health changes? In my experience, patients do not need us to be the all-knowing, invincible providers. They also don’t need to feel like they need to take care of us! But they do need to know that we are touched to the heart by what is going on with them. That we are their partners on this journey of life and health. And that their pain genuinely matters to us. Maybe what matters are not the words “empathy” or “compassion,” but that we are clearer on what we teach our providers about how to “be with” someone in their pain. I’m going to change how I teach empathy/compassion/humanity. Because everyone will interpret the words empathy and compassion differently, I’m going to focus on being “present,” something I’ve learned from years as a counselor and risk manager. I have experienced many sad situations, often spending time in a room with someone just listening as he/she cried, ranted, and expressed helplessness. Sometimes they were patients. Sometimes they were nurses. Sometimes they were physicians. But in the end, they all agreed that whether or not I could “DO” anything to change the situation, the situation was changed because they felt heard. We must change the perspective to shift the burden from feeling the patient’s pain to feeling our own realization that we are partners on this journey together. As providers we are fortunate to have the opportunity to be with humans when they are most vulnerable. We do this work because we care. Patients provide us with the opportunity to experience our humanity—the part of us that wants to give to others. In this way, can we increase the joy of human connection that is at the core of healthcare and perhaps decrease the emotional exhaustion leading to burnout? 3 Comments to Have We Taken Empathy Too Far? Hi Geri, Liked your comparison of compassion to empathy. Frankly I don’t think the differences matter much and may be semantics anyway, as may the concept of expressing sympathy. There is a way, a manner, if which one can convey the sharing of concerns. 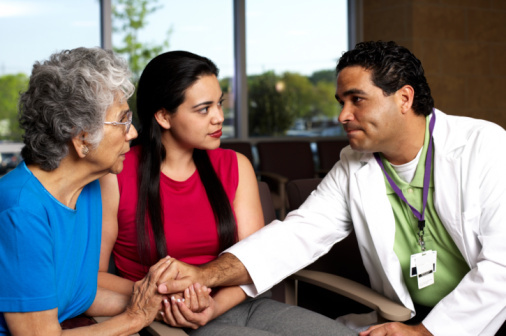 It is important for providers to share concerns about health issues in a way that conveys understanding of the struggles that may lie ahead and or the social and economic confounding factors that patients have to deal with. It is important for providers to express this openly however, and this may take some effort for some clinicians who are tired, stressed, rushed, etc. In fact some personalities are less inclined to convey sympathy, empathy and compassion I suspect and that is another problem to be addressed. However if partnerships are what matters most in achieving best outcomes, then conveying sympathy, empathy and compassion is necessary and is part of the therapeutic dance. If you want to hae a dance partner, then these are the dance steps that are necessary. I have found that in dealing with tragic news, just extending one’s hands and holding on to a patient’s hands can convey more than any words, and takes just seconds. Burnout is a consequence of our ways of practicing medicine today and should not be viewed as an excuse for lack of displays of sympathy, empathy and compassion. This should be emphasized in medical and nursing school curricula and re-emphasized in post graduate training. If you want to dance or play in the sandbox we call healthcare then these are the rules, difficult as they may be to comply with. Thanks for commenting, and you’ve raised some great points! In the interest of brevity, I selectively omitted certain details of the encounter that I see now may be helpful. For example, I did not describe the conversation that occurred with the young man and his colleagues. In fact, after his comment we interrupted the scheduled program to have an extensive discussion about the burden of empathy fatigue and the growing burnout the group was experiencing. The entire group of about 20 engaged in the discussion. It was during the course of this I realized the emphasis on empathy as opposed to compassion may have been contributing inadvertently to the burden. The physicians in this discussion emphasized that the implications of feeling “the same as” versus feeling “for” when caring for patients was emotionally exhausting and physically draining. I wondered if others may feel the same. Hence the exploration of empathy versus compassion. Therefore I put it out there for differing perspectives. I completely agree that no two patients are alike. No two people are alike. 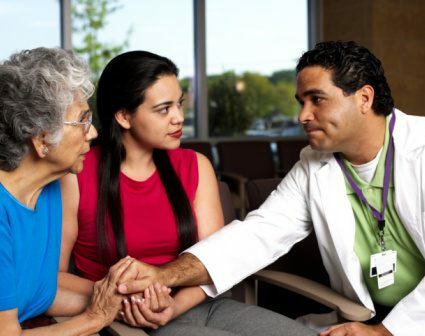 All the same, in my work as risk management professional, and now as a volunteer patient advisor, I have yet to meet a patient that doesn’t want their healthcare providers to be some sort of partner on their healthcare journey. The job is to find out what type of partner that is and it appears you strive for this. So, thank you for your feedback. I am sure others will have opinions as well. Did you empathize with the young physician? No. Were you “present” for him?? No. Although you acknowledge that his complaint was legitimate, your thoughts immediately turned to yourself and how you had been teaching empathy. I doubt you have the ability to see any fault in yourself, but a person who “teaches” empathy yet refuses to display it is a hypocrite. Second, you state that you are an advocate of patient centered care, yet you make multiple statements about “what patients want” and “what patients need.” A person who truly believed in patient-centered care would not make blanket statements as to what patients want. Instead, the emphasis would be on ascertaining the patients desires and then tailoring our interaction accordingly. I doubt you are able to appreciate this either, but each patient is unique and each patient has his or her own preferences. Your blanket statements about what patients want reflect a mindset that individual preferences don’t matter and offend those of us who believe in treating patients like the individuals they are. This may be difficult for you to appreciate, but not every patient wants the same thing. Finally, referring to yourself as a “provider” is offensive to every hard working doctor and nurse who do their best for patients 24 hours a day. You are not in the same category as they are and you steal from their honor who you declare that you are. You work 8 to 4:30 for a malpractice insurance company while they’re saving lives in the middle of the night, and on holidays and weekends. For someone who is allegedly such an expert in humanistic virtues, communication, and empathy, you are very good at offending people.